About.com, a digital ex-property of The New York Times Company, is a website with original content in more than 115,000 topics and 3 million articles. It has 60 million monthly unique visitors in the United States and 108 million monthly unique visitors worldwide (per comScore, December 2011). About en Español was the first channel in Spanish on the About.com network and the largest initiative in a different language at the New York Times Company. It caters to the growing population of Spanish-speakers online in the United States and aims to provide these users with high quality content they can trust, when they need it the most, in their own language. I was brought on board to create the project from scratch as an Editor/Project Manager. Within a year we had 110 bilingual writers all over the world, an Associate Editor and a recruiter. We also had a solid taxonomy with more than 110 topics and spiraling traffic growing on a pace of a million page views a month. The channel includes a wide range of topics on technology, parenting, home, entertainment, education, beauty and style, relationships, religion, cooking, autos, finance, health and travel. InstaNative is a relocation boutique that helps travelers and newcomers into New York City to make their moving or visit effortless, practical and smooth. I contributed from the start of the company generating ideas for branding, marketing and editorial. I wrote the copy in English and Spanish for their website. 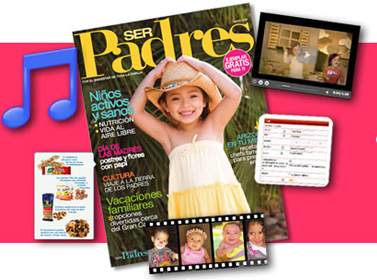 Ser Padres is an iconic 17-year-old parenting magazine with a circulation of 700,000. I was hired to set up the blogs, write daily entries and edit the contributions of other editors and freelancers. I developed branding and web strategy that tripled traffic in six months and created editorial guidelines for the blogs to translate the essence of the print magazines into a web presence. I trained the magazine editors and new bloggers for Mimosblog and Charlablog. We did pick ups, translations and original content. Believe it or not the most searched topics where home remedies and the “meaning of your name,” I had fun writing these entries under the pen name Cassandra Estrella.